Nisma Elias is a program associate at the Results for Development Institute. Prior to joining R4D, Nisma interned at Mercy Corps, where she executed research for the Youth and Adolescent Girls team and wrote for Global Envision about market solutions to poverty. Nisma has worked in the private sector with ExxonMobil and conducted fieldwork with Grameen Bank in Bangladesh. She also interned with Innovations for Poverty Action, where she evaluated the results of a seamless savings product for the U.S. Household Finance Initiative, in addition to providing research support for the Abdul Latif Jameel Poverty Action Lab. She has also conducted research into the impact of competition between microfinance institutions on vulnerable borrowers, and economic factors behind the rapid fertility transition in Bangladesh. 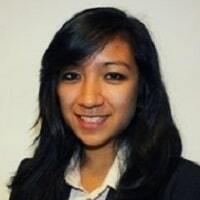 Nisma earned a master’s degree in international and development economics from Yale University in 2013, and graduated Phi Beta Kappa with a bachelor’s in economics from Reed College in 2012. She studied economics and English as a visiting scholar for a year at the University of Oxford. Health care has improved dramatically in Bangladesh in only a generation. The reasons are varied, but one key has been the large-scale distribution of community health workers.